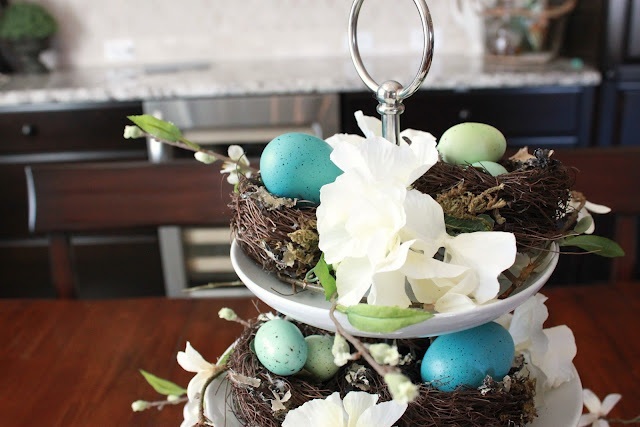 Last week's Fan Favorite was this pretty BHG-inspired centerpiece shared by The Sweet Survival. 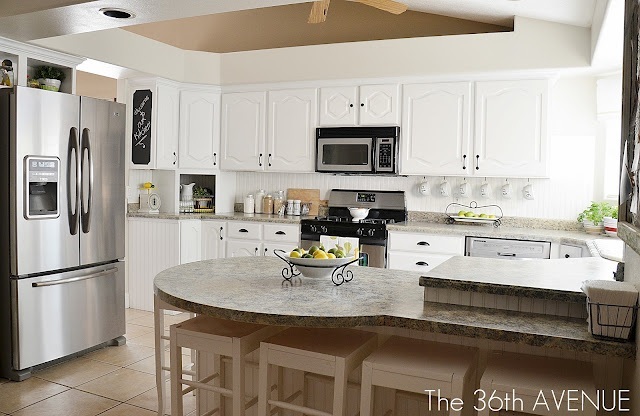 First up, I loved this kitchen makevoer posted by 36th Avenue. Isn't it amazing what white paint can do?? Next, Craftberry Bush shared her very clever eggshell flower vases. Love this idea. And finally Dear Lillie shared her pretty french cabinet makeover. Such a lovely tranformation - love that chevron back! Thank you for hosting! 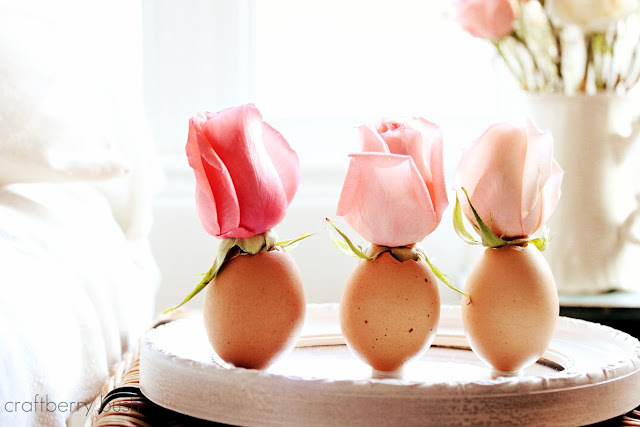 I love the egg vases, so creative! Thanks so much for hosting. Desiree's kitchen looks great! Love the bright, white. Those little egg vase are so cute too, Craftberry Bush does the coolest stuff. Thank you so much for the party - fabulous features! Wishing you a wonderful Easter weekend. Lovely party! Thanks for hosting! I'm going to enjoy looking through all of this week's entries! Thanks for hosting the party! Thanks so much for hosting - love the features - especially that Linen Armoire!!!! Wonderful features, thanks so much for hosting. Thanks so much for hosting another great party. Have a great weekend! Good Morning to you! I have a 3 Minute Fudge recipe that is rather tasty and easy to make (only 3 minutes!). Thanks for hosting the party! Hope you enjoy-have a great day! LOVE Desiree's kitchen!! Just beautiful :) Thanks so much for hosting! Hope you have a wonderful weekend!! Terrific features! 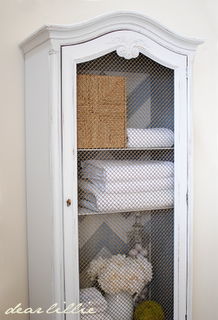 I love that little cabinet with the chicken wire and chevron back! Thanks for sharing and for hosting this party each week. So much goodness! Thank you for hosting. wonderful features! Thanks so much for hosting, Happy Easter!! Thank you so much for hosting! Have a great weekend! Thanks for hosting Wendy! Happy Friday! Thanks for hosting again! Can't wait to browse through all the projects! Love the features! Those egg flower cups are adorable and so different. I haven't crossed paths with them yet, so thanks for showcasing! Wendy, thank you for hosting... have a happy Easter! Thanks for hosting and letting me share what I LOVE to do! What an amazing blog! LOVE following you. Hi Wendy, thanks so much for hosting the party. Have a great weekend. Oh my! What a treat!